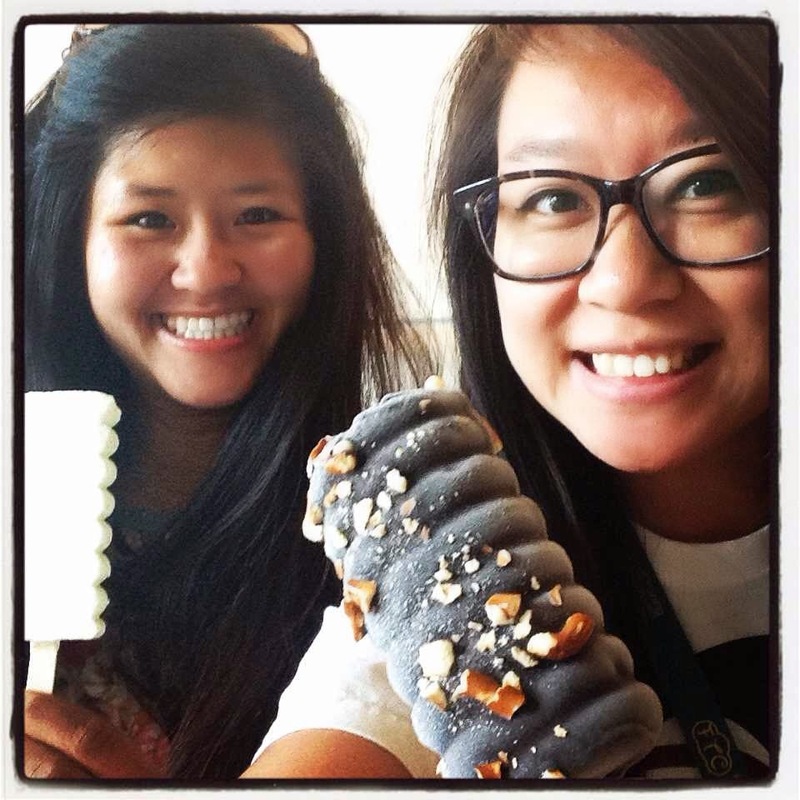 KAWAII POPS & FRONUTS @ FROZEN BAR - GARDEN GROVE (CLOSED) - EAT WITH HOP! 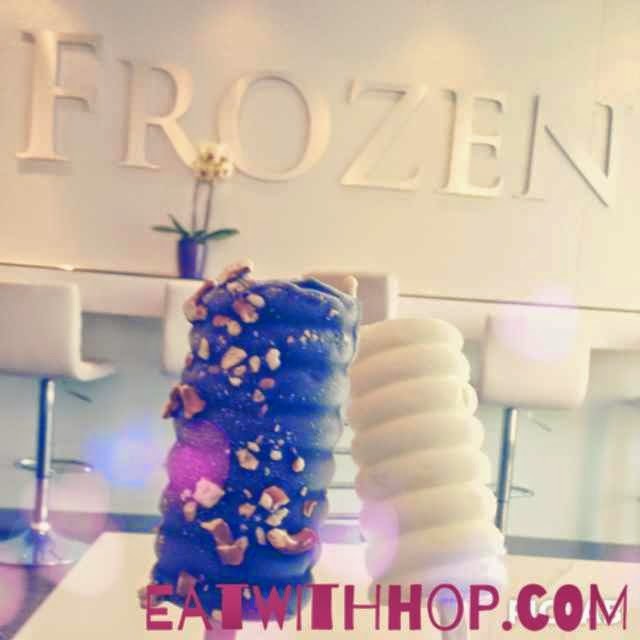 THE FRONUT WITH BANANA CHOCOLATE CRUNCH GELATO! I CAME HERE AGAIN TODAY FOR THEIR OFFICIAL GRAND OPENING AND THEY GAVE NANCY AND I A FRONUT (FROZEN DONUT AS THEY CALL IT) FOR FREE! WOO! did it taste the same? Basically, yes. 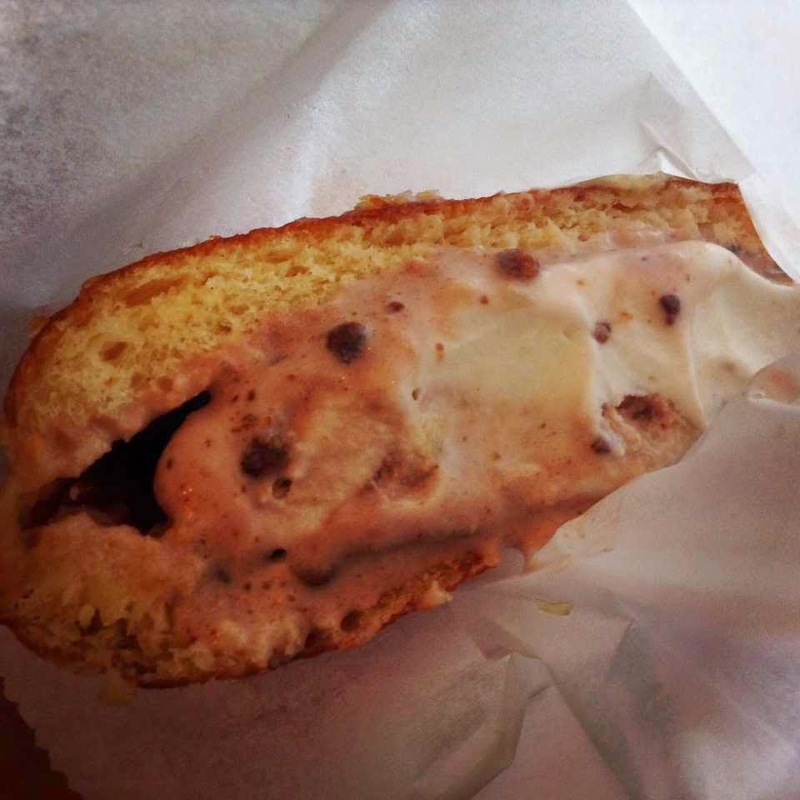 Although I think the ice cream stuffed donut from Afters is actually a little bit thicker and maybe greasier ?? 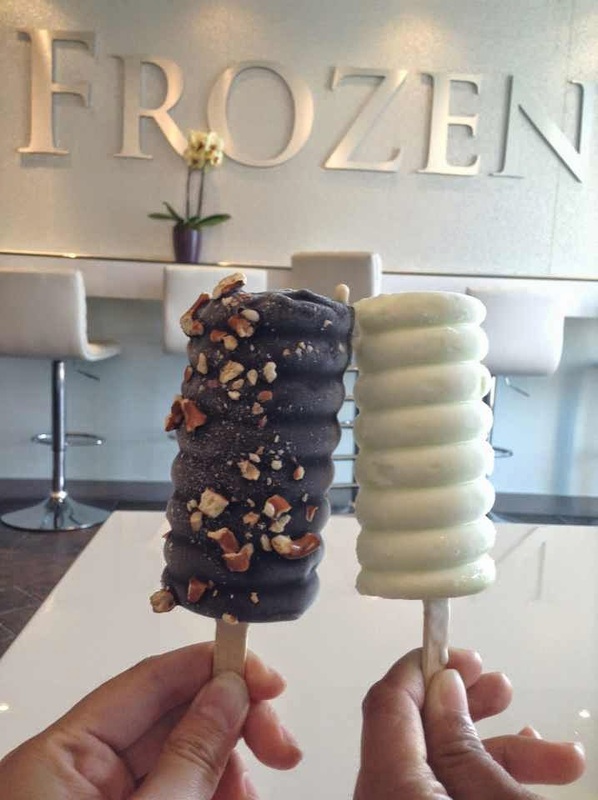 The key difference is the ice cream itself. 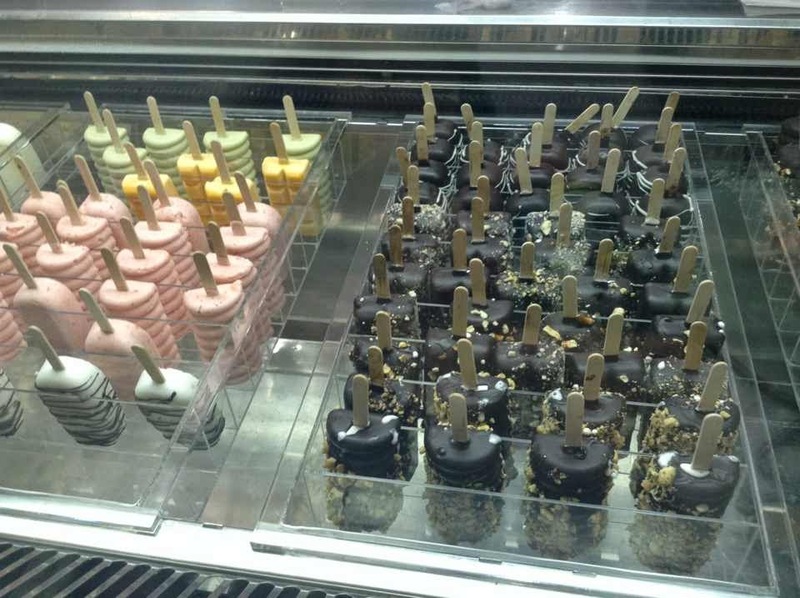 Frozen Bar serves premium gelato while Afters serves ice cream. The flavor selection is also very different from Afters. They have some unique flavors like avocado, popcorn (yum! ), thai tea, taro, etc. You can see all the flavors on the menu (in the above photos). I thought that the way they serve it is terrible. 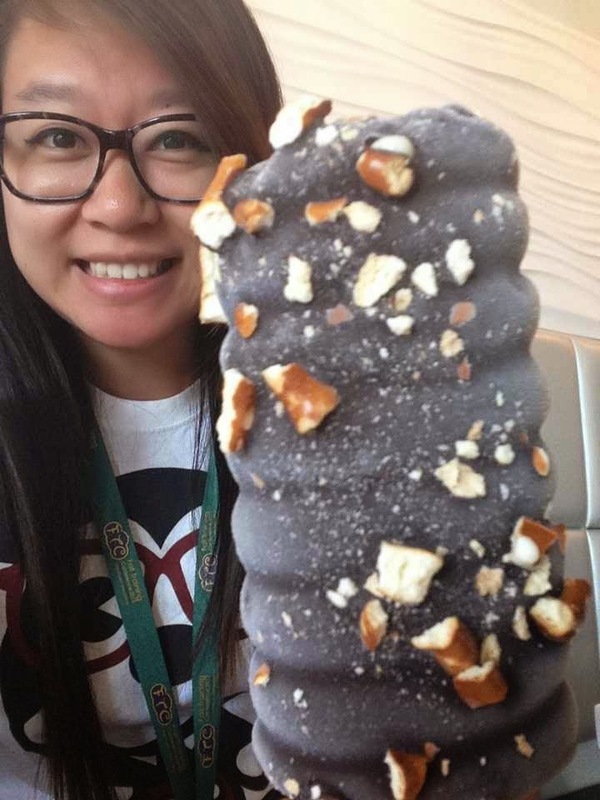 They give it to you wrapped in very thin paper that was sticking to the donut which made it difficult to eat (I had the same problem with Afters Ice Cream when they first debuted but they have gradually improved their wrapping!). The ice cream also melted terribly fast. A girl sitting next to our table claimed that the fronut was even better than Afters Ice Cream's milky bun because the donut tasted "fresh". The worker also responded by saying that "We bake our donuts fresh daily so that's probably why it's better." I disagree. 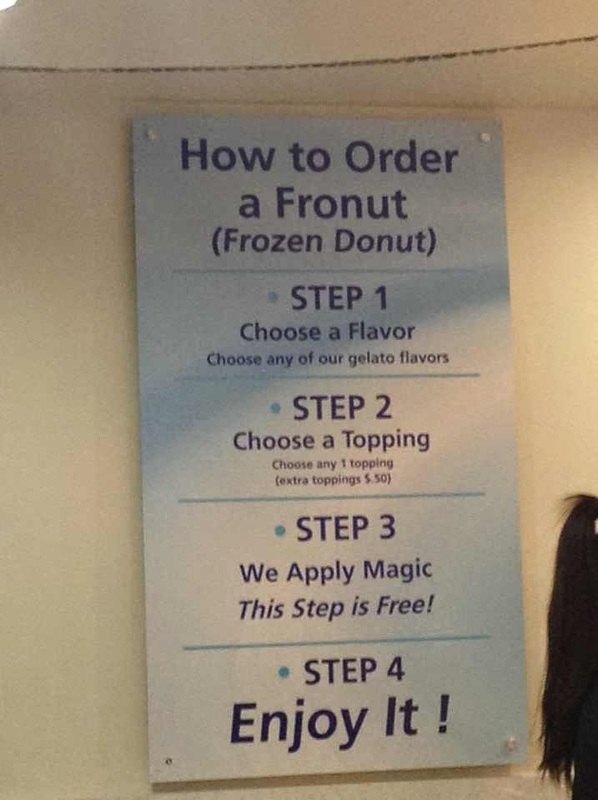 I'm pretty sure Afters Ice Cream bakes their donuts fresh daily as well. I think the fronut & milky bun tastes very similar or maybe even the same. Not better nor worse actually but that's just my opinion. These look adorbs! 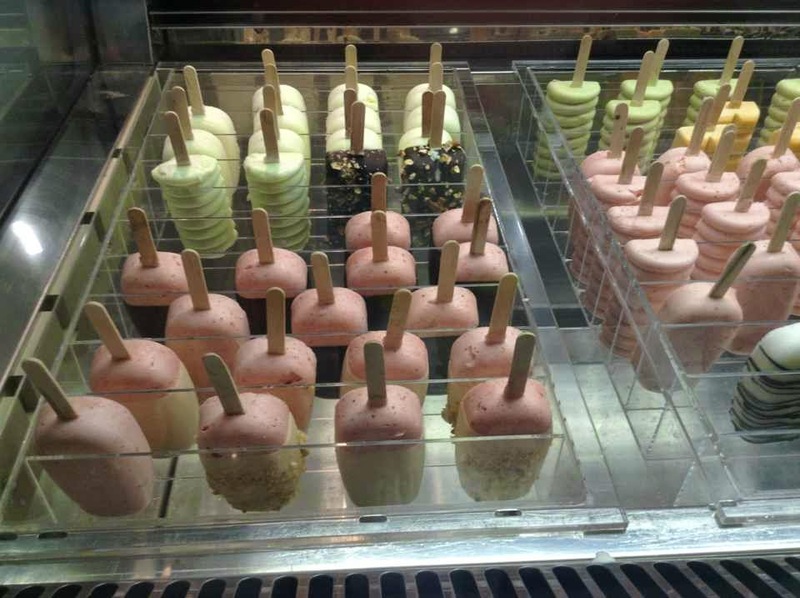 I love the popsicle molds that they use here because the bars are molded in very cute shapes and patterns. 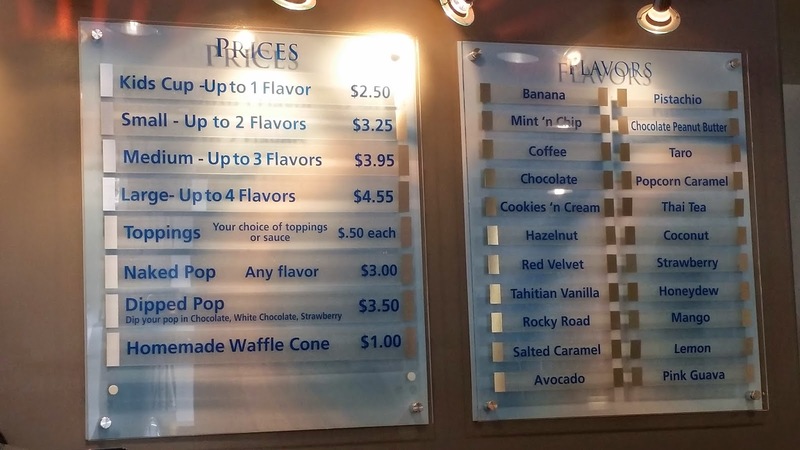 They don't have the popsicle flavors listed on any menu or even in the display case unfortunately so I had to try to remember what the worker was telling me...They need to add labels soon! I remember they have thai tea, honeydew, chocolate peanut butter with pretzels, chocolate covered strawberry, chocolate, tiramisu, avocado, etc. naked: not dipped with anything. The plain ones that you see in the display case are the naked ones! dipped: already dipped wit something. 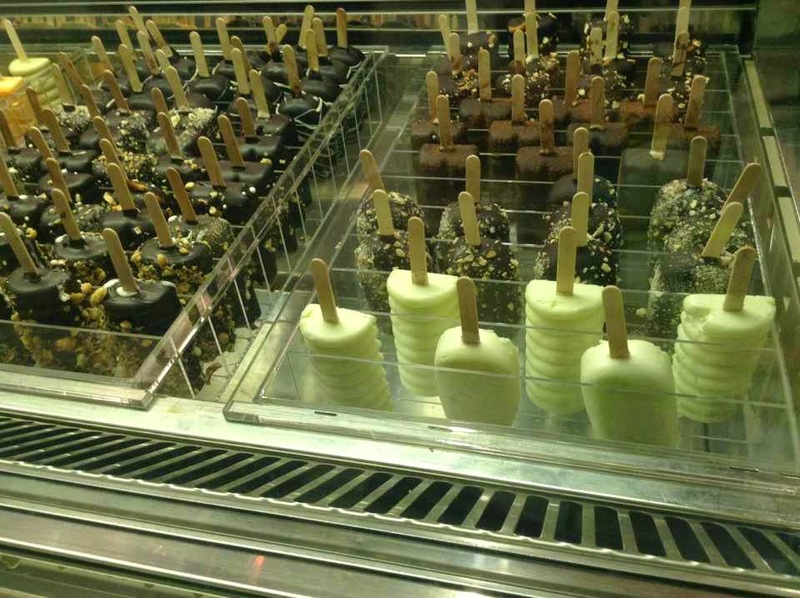 For example, the strawberry flavor dipped in chocolate (pre-dipped). You can dip the naked ones with your own choice of dip though: white chocolate, chocolate, & strawberry dip.